Eligibility for rewards and/or account credit is subject to the terms and conditions of the Collabria MySelect Rewards and Cash Rewards programs. For full terms and conditions, visit collabriacreditcards.ca/unitedcu. you have reported to Cardholder Service at 1.855.341.4643 (Canada and U.S.) or 1.515.343.8995 (International Collect) when you knew that your credit card was lost or stolen. If you believe there has been unauthorized use on your account and you meet the conditions above, you are protected by Zero Liability. If you do not meet the conditions above, please reference your Cardholder Agreement for additional information regarding liability. Insurance coverage is underwritten by American Bankers Insurance Company of Florida (ABIC). ABIC, its subsidiaries and affiliates carry on business in Canada under the name of Assurant Solutions®. ®Assurant Solutions is a registered trademark of Assurant, Inc. Details of insurance coverage, including definitions, benefits, limitations and exclusions, are in the Certificate of Insurance. The Certificate of Insurance is available online at collabriacreditcards.ca/unitedcu. Insurance coverage is subject to change. Insurance coverage is underwritten by Desjardins Financial Security Life Assurance Company. This document is provided for information purposes only. For details of the coverage, refer to the insurance contract or insurance certificate available online at collabriacreditcards.ca/unitedcu. Some conditions and restrictions apply. Insurance coverage is subject to change. 24/7 Travel Assistance is provided by Desjardins Financial Security Life Assurance Company. This document is provided for information purposes only. For details of the coverage, refer to the insurance contract available online at collabriacreditcards.ca/sbicanada. 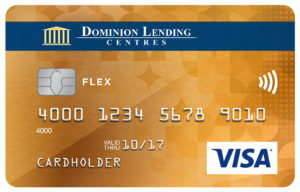 Eligibility is conditional on the card account being active and in good standing. Coverage is subject to change. The products, features, benefits and rewards are valid as of January 1, 2016 unless otherwise noted and are subject to change. The Collabria Visa Card is issued by Collabria Financial Services Inc. pursuant to a license from Visa. Visa is a trademark of Visa Int. and is used under license.